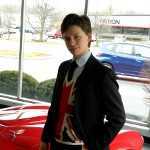 Stirling Matheson is an automotive writer, reviewer, and spewer of sarcasm of Indianapolis, IN. When not playing with cool cars, he is working as the Artistic Director of Ballet Theatre of Indiana. Hear his pseudo-sane quips on Twitter, Google+, and Facebook. This is a message to all of you who have lived a passion for Michael&apos;s sport in all the years together with him, and have supported him in the past half year off the track as well. The German Grand Prix gives me the perfect opportunity to cordially thank you all for the good wishes and positive energies you keep sending to Michael. I have to say your sympathies blew us all away! It&apos;s good to know that together we have made it through the hardest time!" Now we are facing a phase which will presumably take a long time. We trust that — as for so many years in F1 — time will be Michael&apos;s ally in this fight. Until then I would like to wish you and your families the best as well." We&apos;re happy that the massive outpouring of social media love and support has helped the family through this ordeal, and continue to wish them all the best.